Nikolas Cruz, the 19-year-old orphan with a troubled past, a fascination with weapons and resistance groups, and an AR-15 rifle, was charged with 17 counts of premeditated murder Thursday morning after being questioned for hours by state and federal authorities following the deadliest school shooting in the U.S. in five years. Fourteen wounded survivors were hospitalized as bodies were recovered from inside and around Marjory Stoneman Douglas High School, the AP reports. Nikolas Cruz, still wearing a hospital gown after being treated for labored breathing, and weighing in at 5-foot-7 and 131 pounds, was ordered held without bond and booked into jail. Cruz's former classmates thought they were having another drill Wednesday afternoon when a fire alarm sounded, requiring them to file out of their classrooms. That's when Cruz, equipped with a gas mask, smoke grenades and multiple magazines of ammunition, opened fire with a semi-automatic weapon, killing 17 people and sending hundreds of students fleeing into the streets. It was the nation's deadliest school shooting since a gunman attacked an elementary school in Newtown, Connecticut, more than five years ago. "Our district is in a tremendous state of grief and sorrow," said Robert Runcie, superintendent of the school district in Parkland, about an hour's drive north of Miami. "It is a horrible day for us." Victoria Olvera, a 17-year-old junior at the school, said Cruz was expelled last school year because he got into a fight with his ex-girlfriend's new boyfriend. She said he had been abusive to his girlfriend. "I think everyone had in their minds if anybody was going to do it, it was going to be him," she said. Cruz was captured not long after Wednesday's attack in Florida; Michael Nembhard was sitting in his garage on a cul-de-sac when he saw a young man in a burgundy shirt walking down the street. In an instant, a police cruiser pulled up, and officers jumped out with guns drawn. "All I heard was 'Get on the ground! Get on the ground!'" Nembhard said. He said Cruz did as he was told. 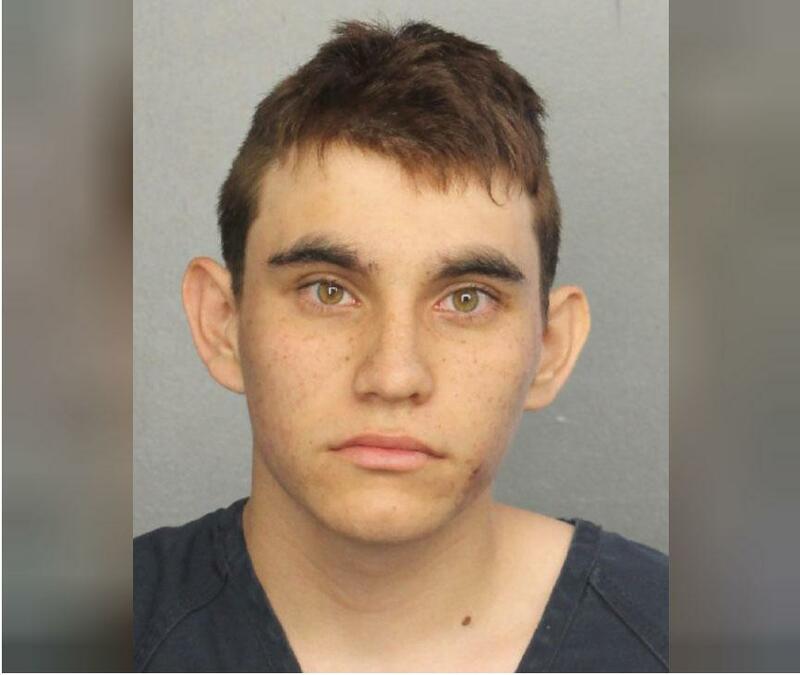 While authorities offered no immediate details about Cruz or his possible motive, they said that he had been kicked out of the high school, which has about 3,000 students. Students who knew him described a volatile teenager whose strange behavior had caused others to end friendships with him. Cruz's mother Lynda Cruz died of pneumonia on Nov. 1 neighbors, friends and family members said, according to the Sun Sentinel. Cruz and her husband, who died of a heart attack several years ago, adopted Nikolas and his biological brother, Zachary, after the couple moved from Long Island in New York to Broward County. The boys were left in the care of a family friend after their mother died, family member Barbara Kumbatovich, of Long Island, said. Unhappy there, Nikolas Cruz asked to move in with a friend's family in northwest Broward. The family agreed and Cruz moved in around Thanksgiving. According to the family's lawyer, who did not identify them, they knew that Cruz owned the AR-15 but made him keep it locked up in a cabinet. He did have the key, however. According to the Daily News, Cruz legally bought the AR-15 he used to wage war on innocents at his former school, according to an attorney for the family with which he lived. “It was his gun,” family lawyer Jim Lewis said. “The family made him keep it in a locked gun cabinet in the house but he had a key.” Lewis added that the family is devastated and didn't see this coming. They are cooperating with authorities, he said. Cruz was taken into custody without a fight about an hour after the shooting in a residential neighborhood about a mile away. He had multiple magazines of ammunition, authorities said. "It's catastrophic. There really are no words," said Broward County Sheriff Scott Israel. Frantic parents rushed to the school to find SWAT team members and ambulances surrounding the huge campus and emergency workers who appeared to be treating the wounded on sidewalks. Students who hadn't run began leaving in a single-file line with their hands over their heads as officers urged them to evacuate quickly. Hearing loud bangs as the shooter fired, many of the students inside hid under desks or in closets, and barricaded doors. "We were in the corner, away from the windows," said freshman Max Charles, who said he heard five gunshots. "The teacher locked the door and turned off the light. I thought maybe I could die or something." "I was happy that I was alive," Max said. "She was crying when she saw me." Noah Parness, a 17-year-old junior, said he and the other students calmly went outside to their fire-drill areas when he suddenly heard popping sounds. "We saw a bunch of teachers running down the stairway, and then everybody shifted and broke into a sprint," Parness said. "I hopped a fence." Most of the fatalities were inside the building, though some victims were found fatally shot outside, the sheriff said. Sen. Bill Nelson told CNN that Cruz had pulled the fire alarm "so the kids would come pouring out of the classrooms into the hall." "And there the carnage began," said Nelson, who said he was briefed by the FBI. Last fall, a Mississippi bail bondsman and frequent YouTube vlogger noticed an alarming comment left on one of his videos. "I'm going to be a professional school shooter," said a user named Nikolas Cruz. The YouTuber, 36-year-old Ben Bennight, alerted the FBI, emailing a screenshot of the comment to the bureau's tips account. He also flagged the comment to YouTube, which removed it from the video. Agents with the bureau's Mississippi field office got back to him "immediately," Bennight said, and conducted an in-person interview the following day, on Sept. 25. "They came to my office the next morning and asked me if I knew anything about the person," Bennight told BuzzFeed News. "I didn't. They took a copy of the screenshot and that was the last I heard from them." FBI agents contacted Bennight again Wednesday, after a 19-year-old named Nikolas Cruz allegedly opened fire at Marjory Stoneman Douglas High School in South Florida, killing at least 17 people. Though his name matches the YouTube user flagged in September, FBI officials would not say whether they have confirmed that the account belonged to Cruz. But around 4:30 p.m. on Wednesday — about 30 minutes after Cruz was taken into custody by police in Broward County — Special Agent Ryan Furr with the FBI's Miami field office called Bennight and left him a voicemail. When contacted by BuzzFeed News, FBI special agent Furr declined to comment on the call, and directed questions about the shooting to the FBI's public affairs office. The office did did not respond to multiple calls or emails Wednesday night. The Nikolas Cruz YouTube account remained active until Wednesday evening. It has since been deleted, however, due to "multiple or severe violations of YouTube's policy on violence." YouTube did not immediately respond to BuzzFeed News' questions about the account. In the wake of the deadly shooting, questions have emerged over whether authorities, officials and acquaintances had missed warning signs about the alleged shooter, and why this clearly troubled teenager was allowed to slip through the cracks.